I made these matching framed chalkboards for our kitchen as a great conversation piece. The top one isfor us to post reminders, and the bottom is for our daughter to draw on. I had to make two to account for the chair rail running along the wall. The natural oak matches the cabinets in our kitchen perfectly. 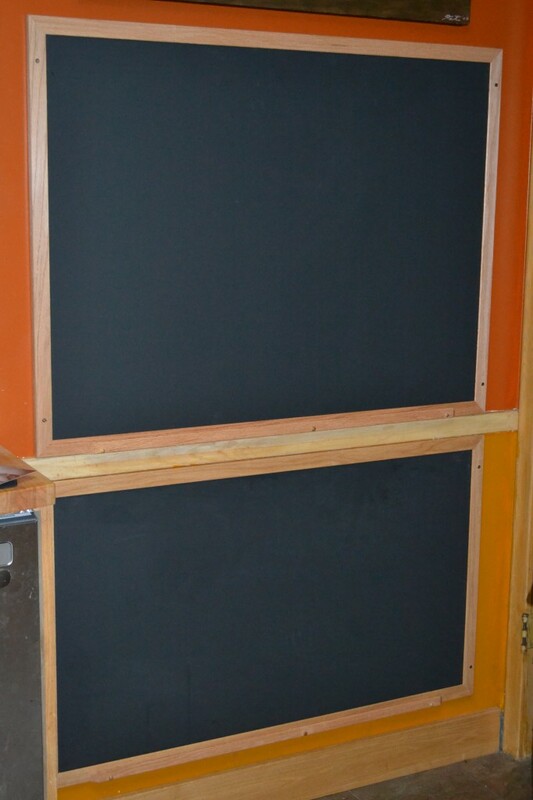 Chalkboard frames are a wonderful addition to any space and are easy to build. Our lead groove framing fits 1/4″ MDF or Hardboard perfectly — just paint with chalkboard paint, cut, and assemble.